Nikki and Graylan were married a few years ago at Autumn Creek Vineyards. I was there to capture their wedding day. 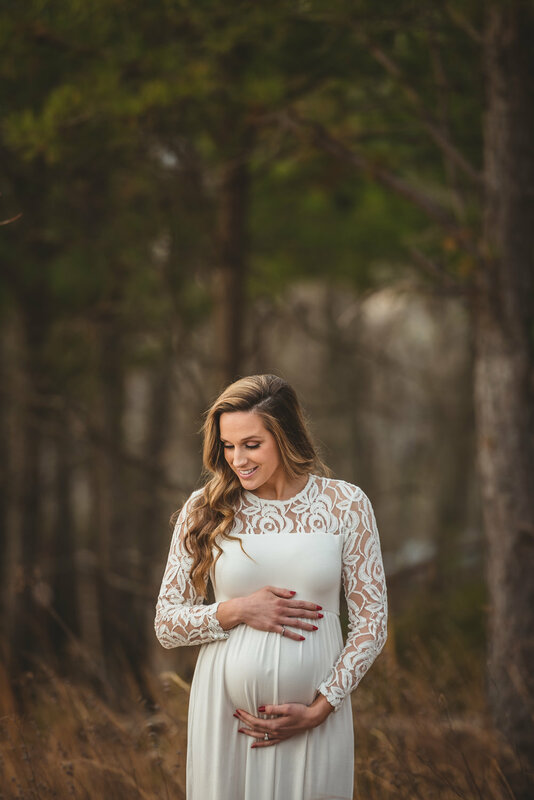 When Nikki contacted me and said how awesome she thought it would be for me to continue to photograph their growing family, I was thrilled! 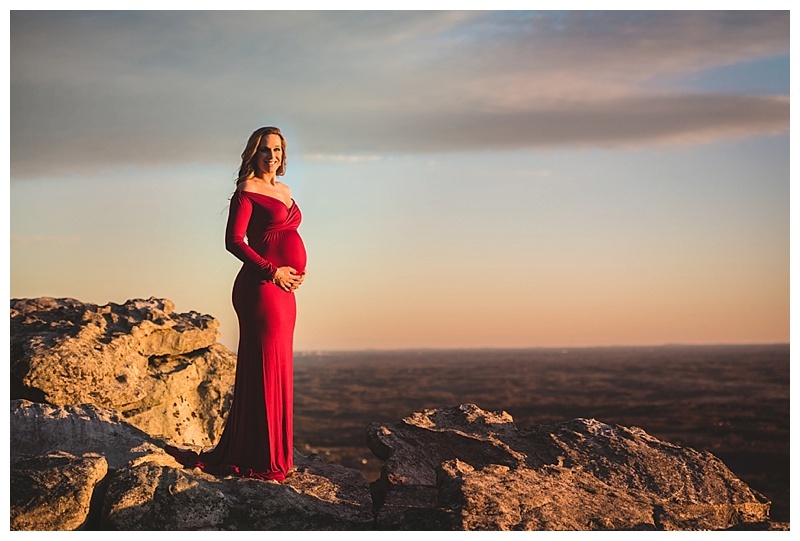 We set up a bump session at Pilot Mountain, with no idea that it would be a warm January day. So warm in fact, that it seemed everyone in NC decided to head there. A wait to get into the park was totally worth the images we were able to capture. 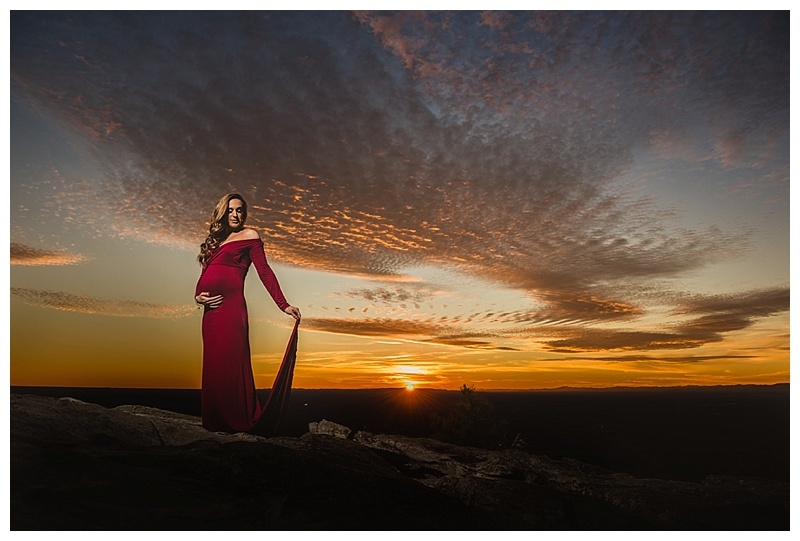 There was the most beautiful sunset painted across thy sky that made for a beautiful backdrop for Nikki and her 30 week bump. Congratulations you 2 on your new addition. I can’t wait to meet him! These 2 images were taken within just a few seconds of each other. The first with off camera lighting and the 2nd with natural light. Being so versatile allows for creative images and different looks!